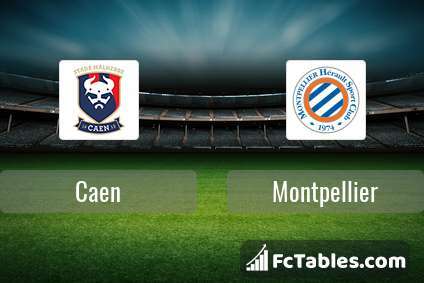 Kick off Caen-Montpellier in Ligue 1 on today 17:00. Referee in the match will be Antony Gautier. Team Caen currently is on lower place in table (17 position). In 5 last games (league + cup) Caen get 6 points. From 2 matches can't win a match. In this season games Ligue 1 the most goals scored players: Claudio Beauvue 2 goals, Enzo Crivelli 2 goals, Faycal Fajr 1 goals. They will have to be well guarded by defense Montpellier. Players , Faycal Fajr 1 assists will have to be very well guarded by defenders Montpellier, because they have the most assists. Team Montpellier is at the top place in the table (4 place). Form team looks like this: In the last 5 matches (league + cup) gain 11 points. 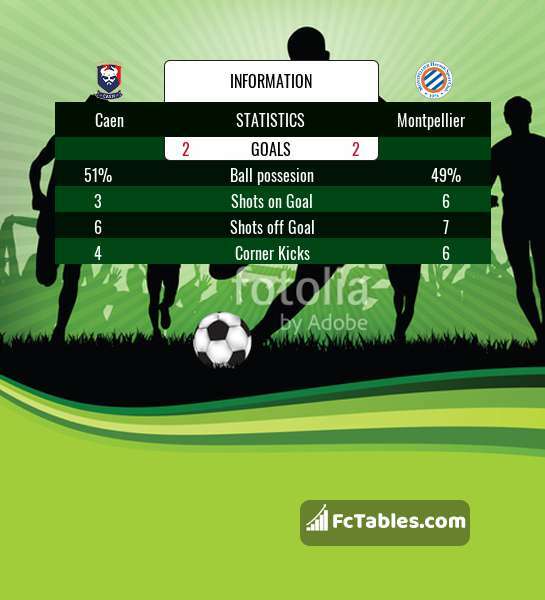 Montpellier has not been defeated from 5 matches. The best players Montpellier in Ligue 1, who scored the most goals for the club: Florent Mollet 1 goals, Ambroise Oyongo Bitolo 1 goals, Damien Le Tallec 1 goals. Most goals developed: Florent Mollet 1 assists. Direct matches: Montpellier won more direct matches. Caen won 5 matches , Montpellier won 8 direct matches, was a 5 draws. In 8 matches the sum of the goals both teams was greater than 2.5 (Over 2.5), and 12 matches teams scored more than 1.5 goals (Over 1.5). In 8 matches the both teams scored a least one goal (Both teams to score).